Join us for a live episode of The United States of Anxiety: Gender and Power as WNYC’s Kai Wright explores the life of Ida B. 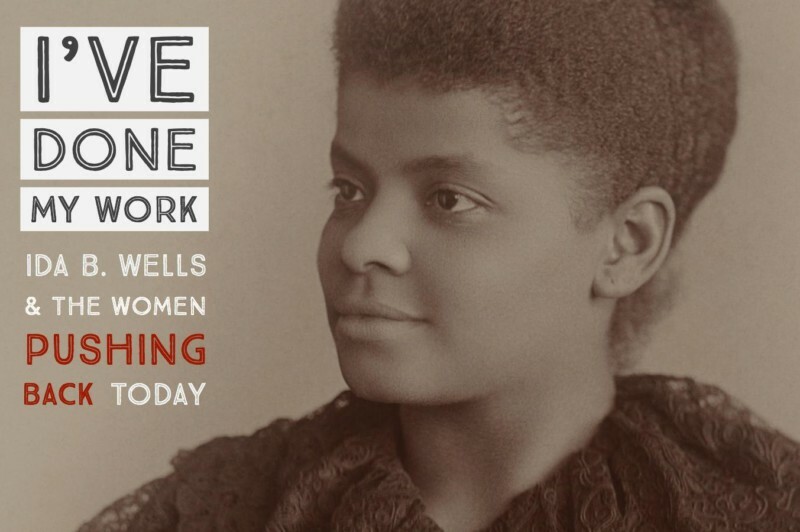 Wells and her decision as a young woman activist to take on a deadly fight, and not let up. It was barely a generation after the Civil War when Wells – then a young journalist – dared to expose dangerous truths about lynching in the United States. Southern whites were so rattled by her writing, they burned down Wells’ Memphis newspaper. Forced into exile, she expanded her work into a long pamphlet called Southern Horrors: Lynch Law in All Its Phases, focused on anti-black terrorism in America. Kai Wright is host of WNYC’s Narrative Unit and a columnist for The Nation magazine. He is also the host of WNYC’s podcasts The United States of Anxiety, Caught and There Goes the Neighborhood. Throughout his career, Kai’s reporting and writing has focused on racial justice, economic inequity, healthcare and sexuality. He is the former editorial director of Colorlines and a longtime fellow of the Investigative Fund at the Nation Institute. Paula Giddings is the author of Ida – A Sword Among Lions: Ida B. Wells and the Campaign Against Lynching. She is the Elizabeth A. Woodson Professor Emerita of Africana Studies at Smith College. Jamilah Lemieux is a cultural critic and writer with a focus on issues of race, gender and sexuality. She is a leading millennial feminist thinker and new media maven. She is also the Vice President of News and Men’s Programming for iOne Digital, where she helped spearhead the creation of CASSIUS, a progressive digital lifestyle platform powered by young, Black content creators. Linda Sarsour is a racial justice and civil rights activist, community organizer, every Islamophobe’s worst nightmare, and mother of three. She is a Palestinian-Muslim-American born and raised in Brooklyn, New York. She is the former Executive Director of the Arab American Association of New York and the co-founder of the first Muslim online organizing platform, MPower Change. She is a member of the Justice League NYC, an organization committed to criminal justice reform through direct action and policy advocacy. Saily M. Avelenda serves as Executive Director of NJ 11th for Change and was a founding member of the group’s Steering Committee. Until May 2017, when her Congressman, Rodney P. Frelinghuysen (R/NJ-11), sent a letter to her employer calling her the “ringleader” of opposition forces against him, Ms. Avelenda served as Senior Vice President and Assistant General Counsel of a New Jersey Community bank. Ms. Avelenda has a law degree from the University of Pennsylvania Law School, and an undergraduate degree from New York University. Marcelle Davies-Lashley is a singer and Brooklyn native who has been featured along with her band at the Brooklyn Academy of Music Café, the Schomburg Center for Research in Black Culture, Joe’s Pub, Harlem Stage, Lenox Lounge, National Sawdust in New York City, and The Ivy Room and Freight and Salvage in California. She has also been a background vocalist for Angelique Kidjo, Bono, Dr. Dog, Karen Clark Sheard, Johnathan Nelson, and Macy Gray. The United States of Anxiety is supported in part by the Economic Hardship Reporting Project. Additional support for WNYC’s election coverage is provided by Emerson Collective, The New York Community Trust, and New York Public Radio Trustee Dr. Mary White. 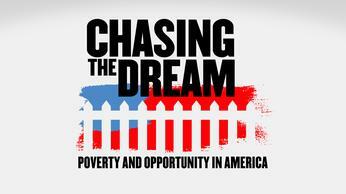 This show is produced with support from Chasing the Dream, a public media initiative from WNET reporting on poverty, jobs, and economic opportunity in America.